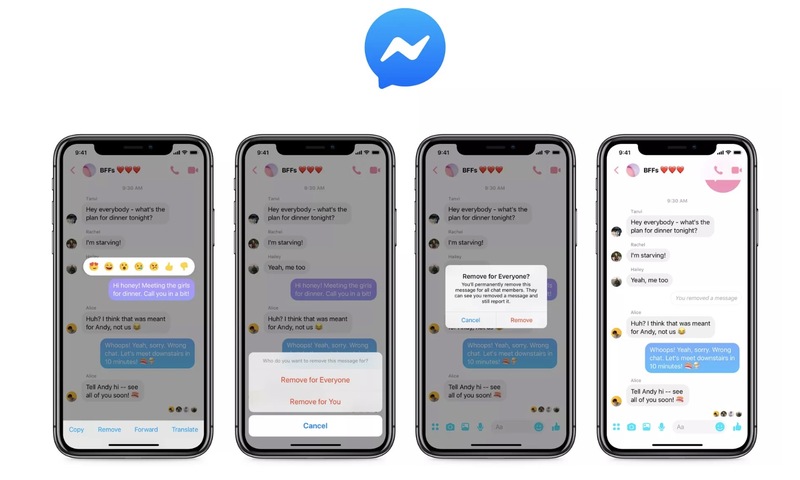 Have you ever been in a situation when you wanted to delete any message that you sent to someone on Facebook Messenger but couldn’t? Being able to delete the message would be a big savior right? But now you can do it in Messenger. Facebook now lets you delete messages within 10 minutes of sending it to someone. All you need to do is tap on the message that you want to delete within 10 minutes of sending it and you’ll get two options to choose from: Remove for Everyone and Remove for you. And, if you select Remove for Everyone, your message will be replaced by “The message has been removed by you” on receiver’s end. Last April, there were cases in which the messages received from Facebook’s CEO, Mark Zuckerberg mysteriously disappeared as per the multiple sources. Later Facebook confirmed that the event occurred because Zuckerberg’s message got expired, citing increased security measures after the 2014 Sony Pictures email hacks. Therefore, average Facebook users then asked Facebook for providing the same features and treatment to them resulting in an announcement from Facebook on the same day that it would build an unsend feature for all the users within the next few months as well as not allow Zuckerberg to use the feature until others get it to use. So, check your Messenger app for the feature and if it’s not available yet, consider to update the app and wait.